The WMA 2015 in Lyon starts today. The big questions I get asked is lane draw (for 200m and 400m), number of rounds, and who is in your heat for round advancement. In big championship meets, how you place in the qualifying rounds guarantees your spot in the next round, but your time guarantees your lane assignment. The fastest qualifying times are assigned Lanes 3, 4, 5, 6 and the slower times gets Lanes 1, 2, 7, 8, hence a good reason not to run your rounds too easily. Your “honour system” is used for seed times for the 1st round! 25 or more = 3 rounds of 4 heats or 3P4T. Advancing to the Semi-Final race consists of 16 athletes. 80 = 3 rounds of 10 heats or 2P4T. Advancing to the “3 heat” Semi-Final consists of 24 athletes. 81 or more = 4 rounds of 11 heats (or more) or 3P7T. Advancing to the “5 heat” Quarter-Finals consists of 40 athletes. At the 2007 WMA, only 3 rounds were scheduled for the sprints. I guess they didn’t expect that many athletes to declare (they must have used the “overbooking” airline system method) so a “bonus rounds” to create 4 rounds were added to the M40, M45 200m and 400m. Yes, in a popular WMA, expect 4 rounds for 3 sprint events if you want to do the trifecta 100-200-400! The 200m had 3 rounds scheduled over 2 consecutive days with Heats one day, then Semi-Final & Final on the next day. Because there were more than 81 declared athletes, a fourth round was required according to IAAF rules. The “bonus” QF round was held 2 hours immediately following the Heats. Not a big deal, in my opinion. 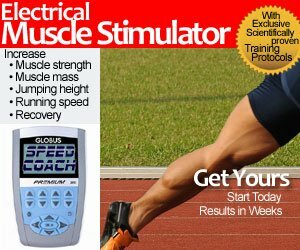 Two hours is perfect for running back-to-back 100m or 200m races, as you are already loose and warmed up, and you don’t have time to cool down. Of course, if you are confident on qualifying, you can run those early rounds with ease! In the 2007 WMA for M45 400m, 3 rounds were scheduled on 3 consecutive days. With 86 declared athletes, a fourth round was also required. With all the age groups and the number of participants, plus each race requiring 5 minutes for block setup and photo finish results, it would be impossible to schedule the Quarter-Finals right after the Heats, so the Quarter-Finals and Semi-Final were scheduled on the same day 6 hours apart, with the Finals on the third day. Of course, they will have to use 2 stadiums or 8AM or 9AM start times. Ouch! That means waking up at 5am to allow 4 hours for the body to wake up. Let’s hope the dorms or hotels are close by, so you can go back and take a nap. It is not uncommon to have two 400m races in one day. 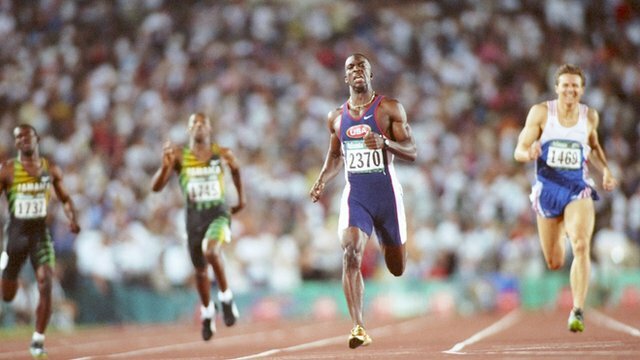 In the early days of the Olympics, they would run the Semi-Final and Final on the same day. The 1960 Olympics was the first time the Semi-Final and Final were held on different days, resulting in a World Record of 44.9 seconds. Between 1960 and 1996, racing on consecutive days was the standard. Today, with emphasis on records and performances, organizers at the World & Olympic level are inserting a rest day between the semi-final and finals for both the 200m and 400m. Why does a 200 meter race deserve a rest day? The Semi-Final and Finals were usually held the same day. Remember the MJ and Mo dual at the 2000 USATF Olympic Trials? The 2 races were exactly 2 hours apart for live prime time TV coverage. Michael Johnson’s 1995 Stuttgart & 1996 Atlanta performances were the true test of the “Iron Horse” for durability, in my opinion. 1996 Atlanta, July 26 – Aug 1. The same schedule as 1995 WC with one rest day on July 30 between 400m & 200m races. Let the games begin… if you can survive the rounds!